Determine the strength and brewing time yourself with this stylish coffee & tea maker. Available in 350 ml and 600 ml. 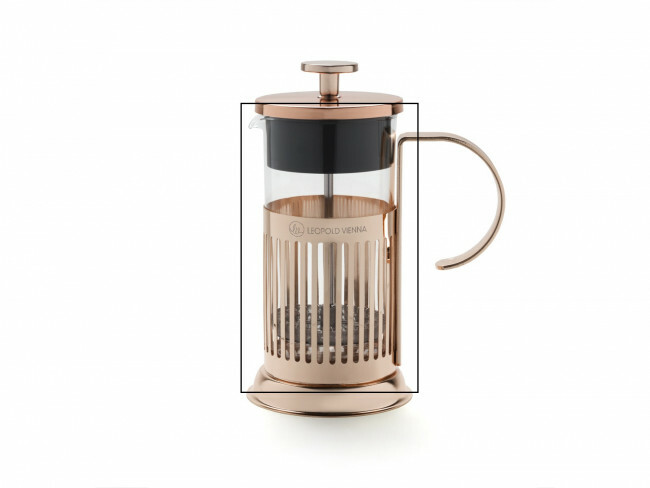 This copper-coloured coffee & tea maker is a real eye catcher in the kitchen. It is also very practical to use since you can set the coffee or tea strength and heating time. Available in 350 ml and 800 ml. This silver-coloured coffee & tea maker is a real eye catcher in the kitchen. It is also very practical to use since you can set the coffee or tea strength and heating time. Available in 350ml and 800ml.